Blazing Saddles provides the fastest and most reliable messenger service to downtown Minneapolis companies- year 'round in all weather. 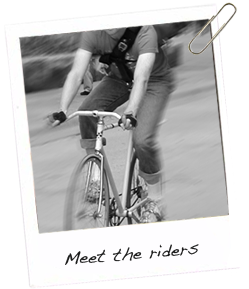 We specialize in urgent, same day, small package delivery and offer the largest staff of experienced bicycle messengers in Minneapolis. 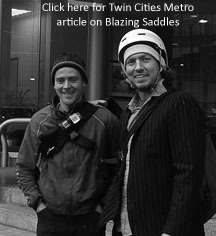 Blazing Saddles now offers online order entry. Customers now have the ability to log in and place service requests, track shipments, and manage their account online.